It’s super funny that Alexa can’t understand my mom — until we need Alexa to use the web, drive a car, and do pretty much anything else. My mother waited two months for her Amazon Echo to arrive. Then, she waited again — leaving it in the box until I came to help her install it. Her forehead crinkled as I download the Alexa app on her phone. Any device that requires vocal instructions makes my mother skeptical. She has bad memories of Siri. “She could not understand me,” my mom told me. My mother was born in the Philippines, my father in India. Both of them speak English as a third language. In the nearly 50 years they’ve lived in the United States, they’ve spoken English daily — fluently, but with distinct accents and sometimes different phrasings than a native speaker. In their experience, that means Siri, Alexa, or basically any device that uses speech technology will struggle to recognize their commands. Right now, it’s not much of a problem — but it’s slated to become more serious, given that we are in the middle of a voice revolution. Voice-based wearables, audio, and video entertainment systems are already here. Due in part to distracted drivers, voice control systems will soon be the norm in vehicles. Google Home and Amazon’s Alexa are radicalizing the idea of a “smart home” across millions of households in the US. That’s why it took so long for my mother’s Echo to arrive — the Echo was among Amazon’s bestsellers this holiday season, with a 900 percent increase from 2016 sales. It was backordered for weeks. Overall, researchers estimate 24.5 million voice-driven devices will be delivered to Americans’ daily routines this year — evidence that underscoresComScore’s prediction that by 2020, half of all our searches will be performed by voice. To train a machine to recognize speech, you need a lot of audio samples. First, researchers have to collect thousands of voices, speaking on a range of topics. They then manually transcribe the audio clips. This combination of data — audio clips and written transcriptions — allows machines to make associations between sound and words. The phrases that occur most frequently become a pattern for an algorithm to learn how a human speaks. But an AI can only recognize what it’s been trained to hear. Its flexibility depends on the diversity of the accents to which it’s been introduced.Governments, academics, and smaller startups rely on collections of audio and transcriptions, called speech corpus, to bypass doing labor-intensive transcriptions themselves. The University of Pennsylvania’s Linguistic Data Consortium (LDC) is a powerhouse of these data sets, making them available under licensed agreements for companies and researchers. One of its most famous corpora is Switchboard. Texas Instruments launched Switchboard in the early 1990s to build up a repository of voice data, which was then distributed by the LDC for machine learning programs. It’s a collection of roughly 2,400 telephone conversations, amassed from 543 people from around the US — a total of about 250 hours. Researchers lured the callers by offering them long-distance calling cards. A participant would dial in and be connected with another study participant. The two strangers would then chat spontaneously about a given topic — say, childcare or sports. Other corpora exist, but Switchboard remains a benchmark for the models used in voice recognition systems. Case in point: Both IBM and Microsoftuse Switchboard to test the word error rates for their voice-based systems.“From this set of just over 500 speakers, pretty much all engines have been trained,” says Gavaldà. Larger companies, of course, have to think globally to stay competitive — especially because most sales of smartphones happen outside the US Technology companies like Apple, Google, and Amazon have private, in-house methods of collecting this data for the languages and accents they’d like to accommodate. And the more consumers use their products, the more their feedback will improve the products, through programs like Voice Training on the Alexa app. But even if larger tech companies are making headway in collecting more specific data, they’re motivated by the market to not share it with anyone — which is why it takes so long for the technology to trickle down. This secrecy also applied to my reporting of this piece. Amazon never replied to my request for comment, a spokesperson for Google directed me to a blog postoutlining its deep learning techniques, and an Apple PR representative noted that Siri is now customized for 36 countries and supports 21 languages, language variants, and accents. Yet smaller companies and individuals who can’t invest in collecting data on their own are beholden to cheaper, more readily available databases that may not be as diverse as their target demographics. “[The data’s] not really becoming more diverse, at least from my perspective,” Arlo Faria, a speech researcher at the conference transcription startup Remeeting, tells me. Remeeting, for example, has used a corpora called Fisher that includes a group of non-native English speakers — but Fisher’s accents are largely left up to chance, depending on who happened to participate in the data collection. There are some Spanish and Indian accents, for instance, but very few British accents, Faria recalls. Obviously, it’s not just technology that discriminates against people with accents. It’s also other people. Mass media and globalization are having a huge effect on how people sound. Speech experts have documented thedecline of certain regional American accents since as early as 1960, for example, in favor of a more homogenous accent fit for populations from mixed geographic areas. 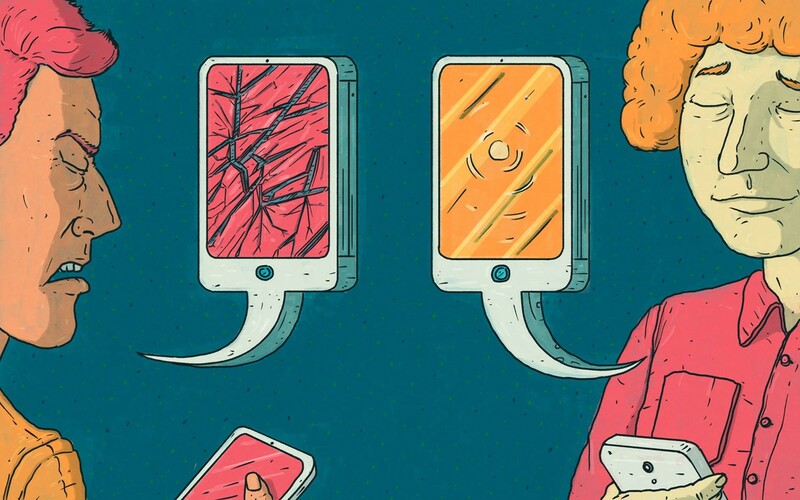 This effect is exacerbated when humans deal with digital assistants or operators; they tend to use a voice devoid of colloquialisms and natural cadence. As voice recognition technology becomes better, using a robotic accent to communicate with a device stands to be challenged — if people feel less of a need to talk to their devices as if they are machines, they can start talking to them as naturally as they would a friend. And while some accent reduction coaches find their clients use voice assistants to practice neutralizing their thick foreign or regional accents, Lisa Wentz, a public speaking coach in San Francisco who works in accent reduction, says that she doesn’t recommend it. This piece originally published on Backchannel, on March 20, 2017. Backchannel has since moved to Wired.